With only thirty-six hours at his disposal, he must fight the clock and trust no one if he is to stay alive and uncover the truth. Ravi Subramanian is a household name in the league of financial books and fiction. With bestsellers like 'If God was a Banker" and "Devil in Pinstripes" , Ravi has managed to make a niche in the mind of many readers for himself. He was an alumnus of IIM Bangalore and has spent two decades working his way up the corporate ladder at various global banks in India. He is a Mumbaikar (Win) and lives with his wife Dharini and daughter Anusha. In 2008, he won the Golden Quill Readers Choice award for his debut novel "If God was a Banker". You can follow him on twitter @subramanianravi. So this is my first book by Ravi Subramanian, somehow I never end up reading serious thrillers and plots with a lot of financial backdrops, cause I sort of read for a break more than anything else. An leaving a corporate office to go home and read about a corporate office somehow doesn't excite me. But I just signed up for this book on Blogadda and I thought why not ? And to put it mildly I was pleasantly surprised at as to how much I really liked the book. I personally love intertwined plots and parallel stories that eventually converge at some point almost like a puzzle finally finding the missing piece, its exciting and also keeps my attention longer. 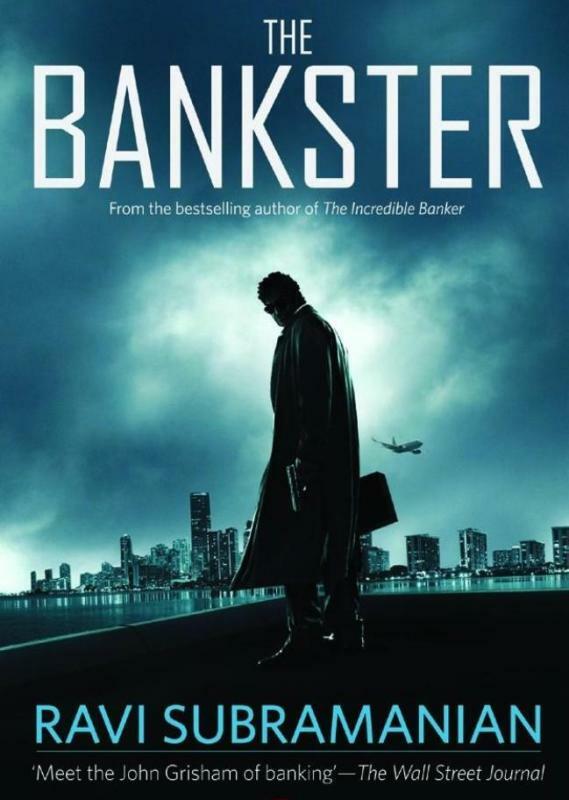 Joseph Braganza the epic Hollywoodish Bad Man , Vikram the corporate boss at Greater Boston Bank in Mumbai and Krishna Menon in Devikulam, it takes you more than half the book to find the link between these three men and a murder mystery that connects them. The book is definitely a read. Remember the problems I had with "The Krishna Key" about poor writing, well no complaints about the writing in this one, and the plot is unique and thrilling as well. Except a little too descriptive and a slow in the beginning ( Which is also why it took me so long to read..Honest) But the pace picks up, as is the case with most books. I usually prefer books that don't beat around bushes too long. ( Sidenote to the 2 people who are still reading my blog. I know I am a true disappointment and this blog is turning into a Book Reviewing Forum and I'm not coming up with any new writing, but HEY I like FREE BOOKS :P . I promise to be back like before...NO really I will be back.